After receiving his PhD in Philosophy at U of T, Owen Ware returned to the department in 2017. His areas of specialization include Kant and 19th Century Philosophy, with a focus on German Idealism. He is the author of two books, Kant’s Justification of Ethics and Fichte’s Moral Philosophy: The Striving for Self-Sufficiency, both forthcoming with Oxford University Press, and is a co-editor of Fichte’s System of Ethics: A Critical Guide, forthcoming with Cambridge University Press. 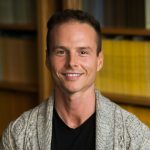 Prof. Ware also has research interests in contemporary ethics, social and political philosophy, continental philosophy, and South Asian philosophy. For more information, visit Prof. Ware’s Philpapers profile page. Forthcoming: Kant’s Justification of Ethics. Oxford University Press. Forthcoming: Fichte’s Moral Philosophy: The Striving for Self-Sufficiency. Oxford University Press. Forthcoming: Fichte’s System of Ethics: A Critical Guide, co-edited with Stefano Bacin. Cambridge University Press. Forthcoming: ‘Freedom Immediately After Kant.’ European Journal of Philosophy. Forthcoming: ‘Fichte’s Method of Moral Justification.’ British Journal for the History of Philosophy. Forthcoming: ‘The Concept of Persons in Kant and Fichte.’ In Antonia LoLordo (ed. ), Persons: A History, OUP. Forthcoming: ‘Is Fichte’s Ethics an Empty Formalism?’ In Gabriel Gottlieb and David James (eds. ), Practical Philosophy from Kant to Hegel: Freedom, Right and Revolution, CUP. Forthcoming: ‘Fichte’s Deduction of the Moral Law.’ In Steven Hoeltzel (ed. ), Palgrave Fichte Handbook, Palgrave. 2018: ‘Schiller on Evil and the Emergence of Reason.’ History of Philosophy Quarterly. 2018: ‘Fichte’s Normative Ethics: Deontological or Teleological?’ Mind. 2017: ‘Kant’s Deductions of Morality and Freedom.’ Canadian Journal of Philosophy. 2017: ‘Fichte on Conscience.’ Philosophy and Phenomenological Research. 2016: ‘Skepticism in Kant’s Groundwork.’ European Journal of Philosophy. 2015: ‘Agency and Evil in Fichte’s Ethics.’ Philosophers’ Imprint. 2015: ‘Accessing the Moral Law through Feeling.’ Kantian Review. 2014: ‘Kant on Moral Sensibility and Moral Motivation.’ Journal of the History of Philosophy (Selected for the 2014 Philosopher’s Annual). 2014: ‘Consciousness and Personal Identity’ (with Donald C. Ainslie). In Aaron Garrett (ed. ), The Routledge Companion to Eighteenth Century Philosophy, Routledge. 2014: ‘Forgiveness and Respect for Persons.’ American Philosophical Quarterly. 2014: ‘Rethinking Kant’s Fact of Reason.’ Philosophers’ Imprint. 2010: ‘Fichte’s Voluntarism.’ European Journal of Philosophy. 2009: ‘The Duty of Self-Knowledge.’ Philosophy and Phenomenological Research. 2008: ‘Love Speech.’ Critical Inquiry. Review of Sittliches Bewusstsein und kategorischer Imperativ in Kants ‘Grundlegung’: Ein Kommentar zum dritten Abschnitt, by H. Puls – Journal of the History of Philosophy (2017). Review of Virtue, Rules, and Justice: Kantian Aspirations, by T. Hill – British Journal for the History of Philosophy (2013). Review of Kant and Education: Interpretations and Commentary, by K. Roth and C. W. Surprenant (eds) – Notre Dame Philosophical Reviews (2012).